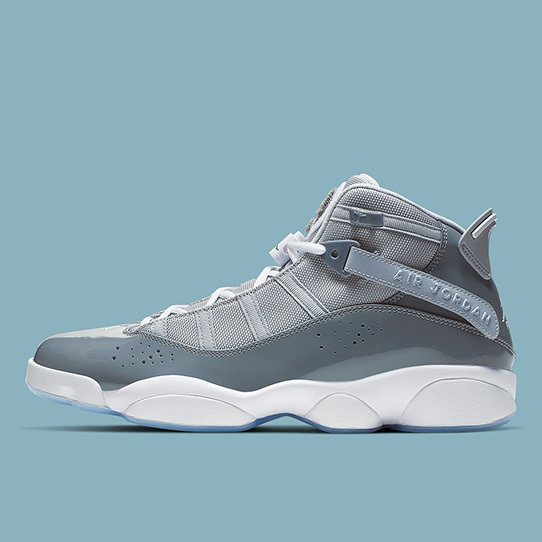 The Jordan 6 Rings has seen quite a few homage colorways in the past few months, harking back to some of the classics which debuted way back in 2008. 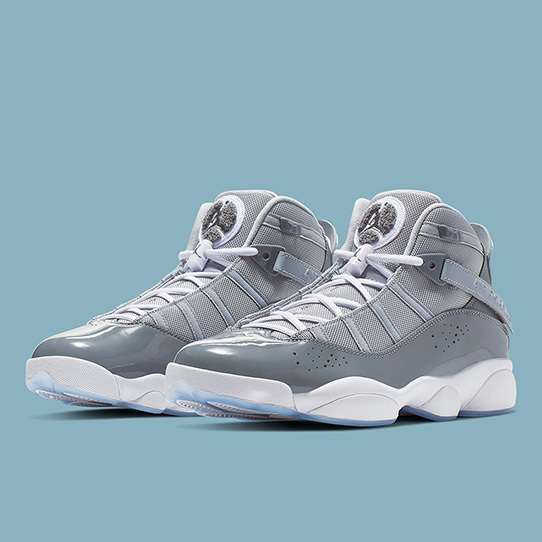 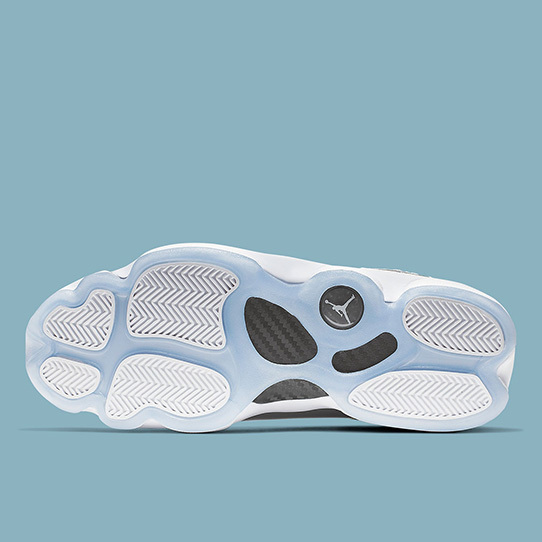 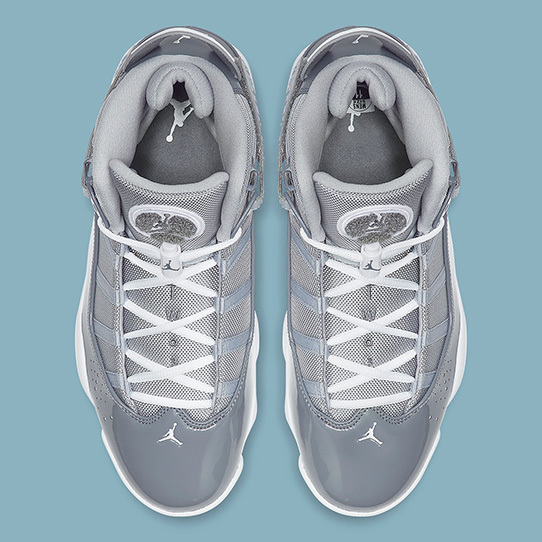 As it borrows a few design elements from some of the most iconic silhouette in MJ’s history, it’s only fitting to play on yet another momentous colorway: “Cool Grey.” Its mudguards, which are reminiscent of the 11, come in overt connection to past releases with the patent leather donning the neutral tone. 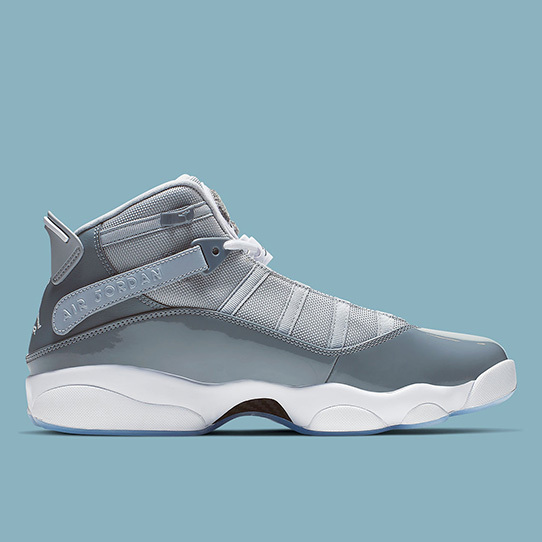 Uppers, found in a mostly mesh construction, contrast in its lighter shade with white branding and midsoles complimenting the rest of the kit. 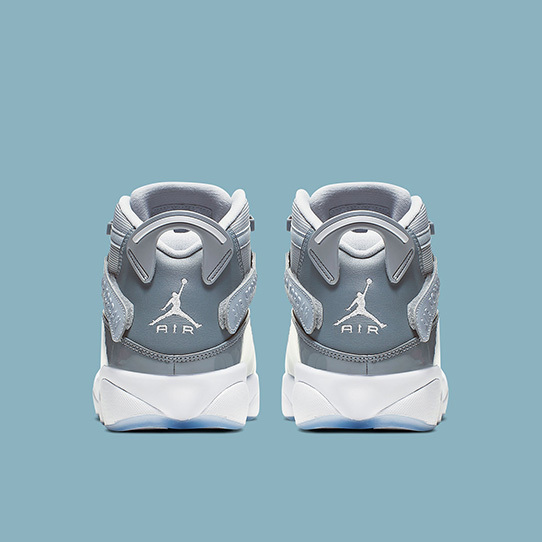 Embossed “AIR JORDAN” along the intersecting profile straps match the louder logo hits found on the textured tongue icon.